They reckon you can tell a lot about someone by the music they listen to. That being the case, heaven knows what my vinyl says about me. This week’s eagerly anticipated reunion of The Stone Roses had me fondly trawling through my record collection looking for their debut album. 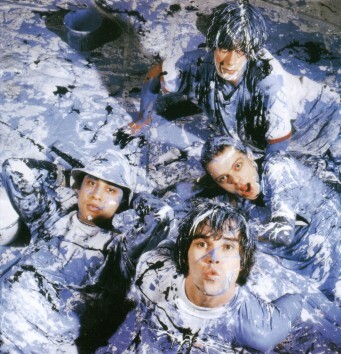 The Stone Roses, released in 1989, is widely regarded as a seminal album and is my personal favourite of all time. Many bands who enjoyed their halcyon days are now back together but, for many people my age – if you’ll pardon the pun – This Is The One (we’ve waited for). Thus the Stone Roses are number one in my top 10 of Eighties bands – listed here in no particular order. In truth, I could have gone for any of a number of other indie outfits whose tunes were heard at my beloved Ritzy nightclub in Newcastle from 1988 onwards. Indeed, I feel duty bound to give honourable mentions (in no particular order) to: The Happy Mondays: The Charlatans: Carter USM; Ned’s Atomic Dustbin; Northside; The Wedding Present: Thousand Yard Stare: The Farm: The Mock Turtles; The La’s and James. But in at number 2 are Oldham’s finest – The Inspiral Carpets. Formed in 1983, they also got back together earlier this year and are working on new material and planning a tour. 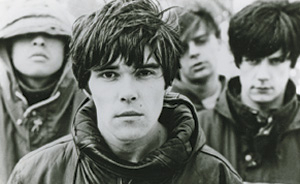 Infamous for their squiggly-eyed cow T-shirts bearing the slogan ‘Cool as ****’, the band’s hit This Is How It Feels has to be their best track. If ever a tune summed up how so many people must be feeling in the current economic climate, this has to be it. As relevant today as it was 21 years ago. Third in my list is a Black Country band formed in 1986 which went on to record numerous catchy tunes. I had the pleasure of watching The Wonder Stuff perform in the open air in Nottingham and again at Keele University a couple of years ago. It’s 20 years since what was arguably the band’s finest moment – the album Never Loved Elvis – but I’m happy to say they are still touring with the irrepressible Miles Hunt as their frontman. My musical tastes are nothing if not eclectic and so I’m going to veer from UK garage, baggy and indie music to perennially unfashionable rock. Mentions in despatches here for Sheffield boys Def Leppard and U.S. giants Whitesnake, Aerosmith, Poison and Mötley Crüe. However, fourth in my list is something of a no-brainer. They are an American rock band, formed in 1983, who take up roughly a quarter of my entire vinyl collection. I first saw the mighty Bon Jovi perform in front of 65,000 people at the Milton Keynes Bowl on August 19, 1989. After witnessing that sea of leather, denim and ripped T-shirts and soaking up the smell of hot dogs, burgers, warm beer and sweat nothing would ever be the same for me again. I have now seen the New Joisey syndicate 35 times and was fortunate enough to have tea backstage with guitarist Richie Sambora when they played the Britannia Stadium in 2000. Wanted Dead Or Alive is my favourite track and my Jovi collection includes autographs and limited picture discs from all over the world. They are still touring and selling out stadiums across the globe. Enough said. In at number five are another U.S. rock band which I adored – partly because of their tenuous connection to the Potteries. Founded in the Sunshine State in 1985, Guns ’N Roses took the world by storm with their major label debut album Appetite For Destruction. So vital that even non-rock fans loved them, the ‘Most dangerous band in the world’ fell apart after years of heavy drinking and drug-taking. Being one of the fortunate few who witnessed Stoke-on-Trent’s prodigal son Slash wring the life out of his Gibson Les Paul guitar at Hanley’s Victoria Hall earlier this year reminded me just why I loved this band so much. G ’N R are still touring but are a poor reflection of their former selves – despite what Axl Rose would have us believe. At number six is an American icon and proper working class hero who I had the pleasure of watching in the most English of surroundings. Bruce Springsteen had been performing for 20 years before he really made an impression on the UK consciousness with his 1984 album Born In The USA. I saw The Boss and the E Street Band perform at Old Trafford Cricket Ground a couple of years and can honestly say that he remains the consummate showman. Straddling that ground between rock and pop and with another astonishingly-charismatic frontman are my seventh choice – Queen. My favourite UK band of the Eighties, their performance at Live Aid in 1985 cemented their place as one of the best live acts in the world. In terms of Eighties pop, I have to give honourable mentions to a number of bands which feature in my record collection including: The Pet Shop Boys; Erasure: Spandau Ballet and The Human League. But at number eight I offer up an Australian band which gained worldwide popularity thanks to their 1987 album Kick. In July 1993 INXS were up ’Anley and played to a sell-out audience at the Vicki Hall. Sadly, yours truly was working that night. The tragic death of lead singer Michael Hutchence robbed the band of their heart but with tracks like Never Tear Us Apart and Need You Tonight their legacy is assured. From the sublime to the ridiculous now, novelty band Adam And The Ants have sneaked in at number nine thanks to two memorable songs and their madcap videos. Stand And Deliver is a great tune but Prince Charming has to be my favourite. Go on – tell me you don’t do the arms-crossed-in-front-of-your-face routine every time you hear it. Last, but by no means least, I am not embarrassed to say that Princess Diana’s favourite band are also in my list of Eighties music icons. Duran Duran earned their spot with some cracking tunes including The Reflex and The Wild Boys which, alongside Aha’s Take On Me remains one of my favourite videos. For Bryan Adams, it was the summer of ’69. For me it was the summer of ’89. He got his first real six string, had a band and they tried real hard. I got the PMT bus from Sneyd Green to Fenton five days a week, started playing pool for a pub team and first kissed a girl. Granted, Bryan’s youth was a little more rock ‘n roll than mine. But I wouldn’t swap my golden memories of Stoke-on-Trent Sixth Form College – even for a number one ballad. When I read yesterday that college staff were clearing out the class rooms and lecture theatres ahead of the move to a new £33 million campus in Stoke, those memories came flooding back. I knew the big day was imminent, but seeing it in print still left me feeling rather sad. In 1989 I was 17 and the world was my oyster. The Stone Roses, the Inspiral Carpets and Depeche Mode were topping the Indie music charts and I had a part-time job in a fireplace showroom in Tunstall which provided my first disposable income. You probably won’t remember but in 1989 the UK experienced an exceptional 12 months meteorologically. It was the summer which saw yours truly sunbathing at lunchtimes on the college’s football pitches while listening to cassettes on his cheapo version of a Walkman. I’m sure someone somewhere can say just how many students have walked up those concrete steps at Fenton and passed through the doors since 1970. The figure will doubtless be in the hundreds of thousands – the vast majority of whom were from North Staffordshire – and I am proud to say that I’m one of them. 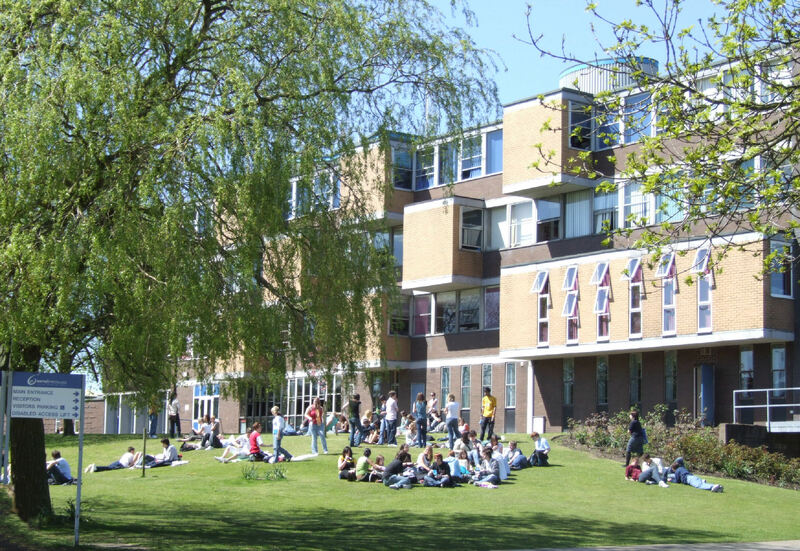 For me, Sixth Form College – like university to many others – equalled freedom on many levels. I was out of the high school bubble of friends – some of whom I’d known since playgroup. A few came with me but many more didn’t. It was time to meet new people. I had to organise myself to catch buses every morning. There was no uniform and I sorted my own lunches. I chose to study A-levels in European History, British Government and Politics and English Literature and, at times, it was bloody hard work. I recall the Sixth Form library being a wonder to me. Split over two floors and boasting study cubicles and a number of PCs, it seemed vast and alluring. I enjoyed lectures enormously because we were able to debate topics rather than simply being talked at. “How would you describe Hamlet’s love for his mother?” That one went on a while, I can tell you. What was more, the staff treated you like young adults which represented a big change from the school environment. That meant it was up to you to motivate yourself to attend lectures or fall behind on the coursework. (At this point I’d like to apologise to my politics lecturer Mr Smith for bobbing off lessons with Richard Murphy so that we could play pool at Shipley’s Amusements). Actually, nobody minded the work because college social life opened up a world of opportunities – especially to a wide-eyed teenager like me whose previous idea of a wild night was spending more than 20 pence at the outdoor. The Sixth Form had its own radio station run by geeks who piped music into my favourite place – the common room. Apart from being home to Pat’s Pantry (beef burgers: 35 pence each), it was the place where my mate Mark and I learned to play Blackjack while our pal Brian canoodled incessantly with his latest rock chick girlfriend. It was there where tickets for discos (I’m afraid that was still the word, back then) at Chico’s by Hanley bus station exchanged hands for a quid. I never went – preferring instead the dubious pleasures of indie night at Ritzy in Newcastle on Thursdays where I shoe-gazed for England. Thanks to Fenton’s Sixth Form College I met my first and second girlfriends – one of whom dragged me to my first live rock concert in Milton Keynes. I also developed a love of Shakespeare and I made one very good friend for life. Such is the fondness with which I hold the college that I returned a couple of years ago to visit my old English teacher Nigel Mansfield to see how the place had changed and to thank him for inspiring me. 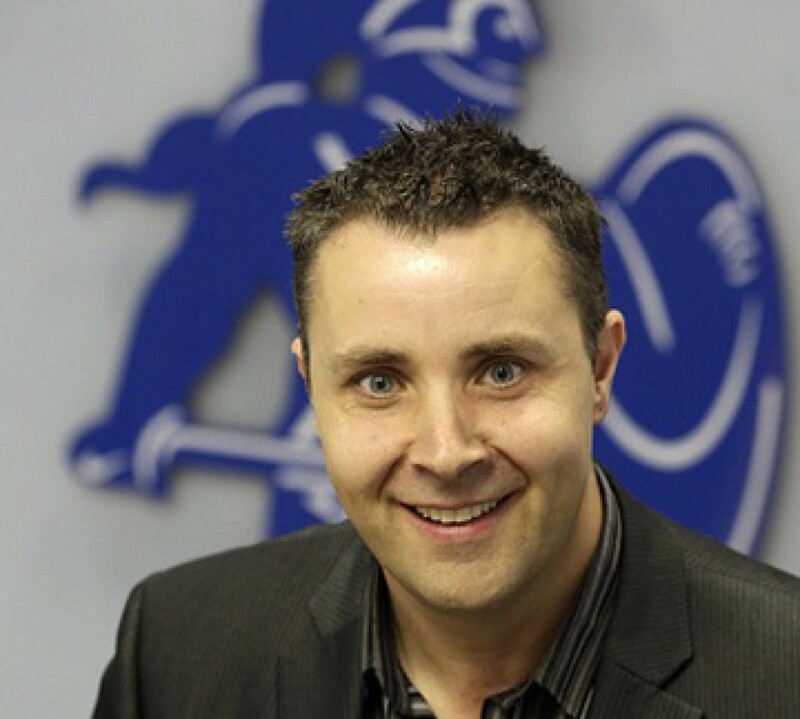 One thing is for sure – when they start to demolish the Sixth Form the ghost of a skinny 17-year-old with floppy curtain hair and a rucksack slung over one shoulder won’t be walking the grounds alone.